Seemingly assembled from the recycled limbs and organs of cult films from various genres, Troll Hunter is an endearing little Frankenstein’s monster of a movie. Although writer/director André Øvredal uses the exhausted imaginative crutch that is the fake-documentary format, he does so with alternating strokes of whimsy and horror. Had his bearded, burly central character been less stoically Norwegian and more manically compelling, this quirky gem may have found its way into a few mental treasure boxes. Writing a synopsis for Troll Hunter feels like giving an in-depth rationale for why eating rat poisoning is a negative when a simple “you’ll die” will do. But here goes: Thomas (Glenn Erland Tosterud), Johanna (Johanna Mørck) and Kalle (Tomas Alf Larsen) are three student filmmakers who think they’re tracking down a bear poacher when really they’re hot on the heels of Hans (Otto Jespersen), a professional troll assassin. Norway has an entire governmental division dedicated to the control of the troll population. Their plan is to use what appear to be power lines to pen in most of the big-nosed, goofy carnivores while Hans bags any strays who wander off the troll reservation. Hans has grown tired of the relentless secrecy and lies and no longer wishes to only consider his sweet, sweet beard as his only friend. So he permits the school gang to come along as he monitors a troll outbreak, which ranks among the wartiest and stankiest animal control problems of all time. The bipolar nature of the film’s tone could have been a strength, as there are both hilarious and terrifying thoughts that pass through one’s mind when considering the reality of giant, multi-headed man-beasts who can smell the blood of Christians. Unfortunately, Øvredal can’t quite congeal the horror and comedy together, leaving the scary parts feeling kind of funny and the funny parts feeling kind of scary. And then there’s the complete swing-and-a-miss take on Hans by Jespersen, who opted to cloak his character in muted indifference, which is perhaps the ugliest acting garment one can wear in a cult film. Had he been fueled by the intensity of an unhinged Gary Oldman in his prime or even imbued with the smarmy, off-kilter sensibility of a Bill Murray, there would have been a bit more going on here than just a modestly clever conceit. Actually, it’s for this reason among others that the recently announced American remake for once doesn’t feel like just a money-grubbing way around subtitles. The general concept, that there be trolls in them there hills, can be easily relocated to the sparse landscapes of a Montana, while the whole cast can be peppered by actors with that pesky-but-necessary trait of actual personality. This isn’t to say that Troll Hunter isn’t a good time in its original Norwegian flavor, as the largely decent and well-select special effect scenes highlight surprisingly pretty cinematography. Although the opening text and general tone of the film owe their origins to the now-derided Blair Witch Project, it is significantly better crafted and the sporadic scenes of running don’t inspire quite the camera sea-sickness that was the Blair Witch barf-fest. 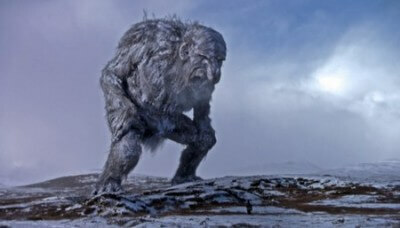 Troll Hunter is the sort of film that actually works better if you stumble onto it on your own…so, sorry about that. But if you go in expecting a sly little fractured fairy tale world filled with mild malice, you won’t be disappointed. Oh, and the film’s money shot isn’t a giant beast stomping about but a cleverly edited real-life snippet of the actual Prime Minister of Norway seemingly admitting the nation is actually troll infested. Fake gotcha journalism at its finest.